The new Bertrand Russell Archives and Research Centre is officially open. 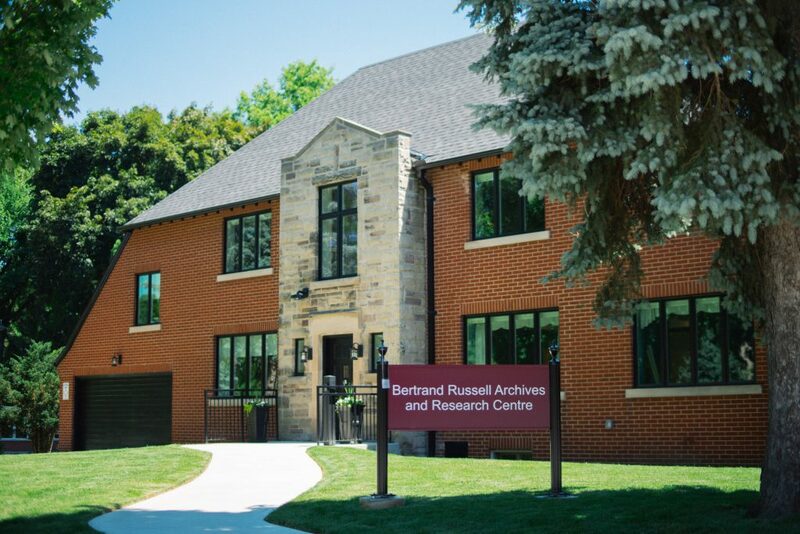 This state-of-the-art facility is located across from McMaster’s Sterling Street entrance in a former home, which has been retrofitted in recognition of the 50th anniversary of McMaster’s acquisition of the Bertrand Russell archives. 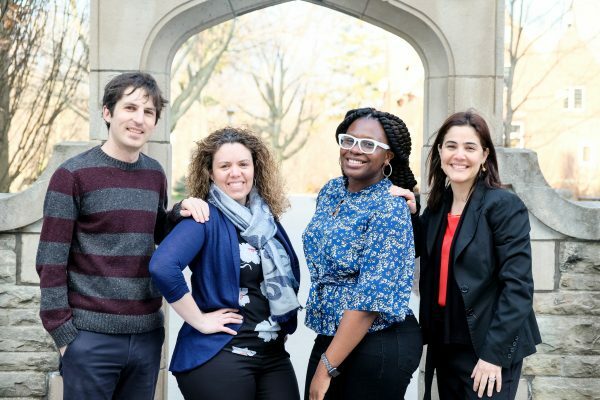 The project, led by McMaster University Libraries, in partnership with McMaster’s Facilities Services and mcCallum Sather Architects houses the University’s largest and most heavily researched collection and is in place to help support activities related to Russell scholarship. Bertrand Russell was a British philosopher, logician, essayist, and renowned peace advocate. His archives came to McMaster Library in 1968, where his library in addition to his correspondence, manuscripts, tapes, films, photographs, medals and writing desk have been on display since. The 4300 sq. ft. facility sees a reading room, a sophisticated library surrounded by Russell’s works, a compact shelving unit to host the archives and will feature Russell’s personal writing desk and armchair. It also sees McMaster’s Bertrand Russell Research Centre upstairs. The Russell Archives are the largest collection of Russell’s materials available anywhere, containing over 250,000 original documents written by Russell, 3400 books from his personal library, 3900 volumes of his published works and other scholarly materials, in addition to photos and artifacts. Among the many projects taking place at the facility, the Bertrand Russell Research Centre will be publishing all the letters that Russell wrote during his imprisonment in Brixton Prison in 1918. Each letter is to be released exactly 100 years after the letter was written. Bone says that these letters shed light on Russell’s personal life and notes that in terms of the integrity of the centre’s research, both public and private works are equally vital parts of the puzzle. “[The Brixton letters] is almost unique amongst things that Russell wrote because of the constraints that he was under. He wanted to get a little bit of everything into many of these letters,” said Bone. The collection previously housed in Mills Memorial Library, but now sees a dedicated space in a formerly private residence on Forsyth Avenue. The residence has been fully renovated and converted over the past nine months and is now open to the public.